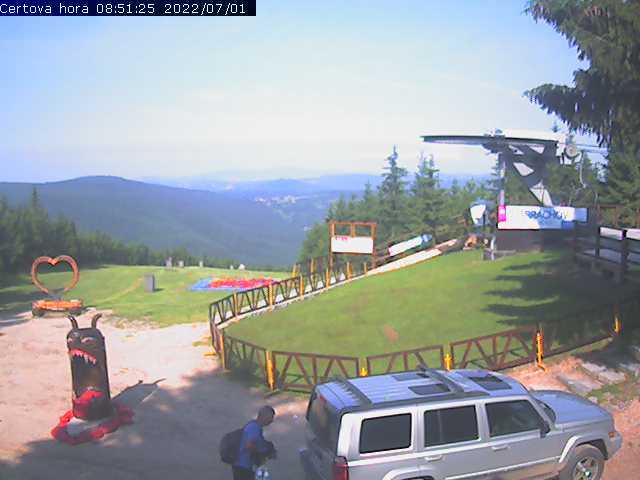 is a loyalty card for you - Harrachov visitors. With this card you can get discounts on services and other benefits. 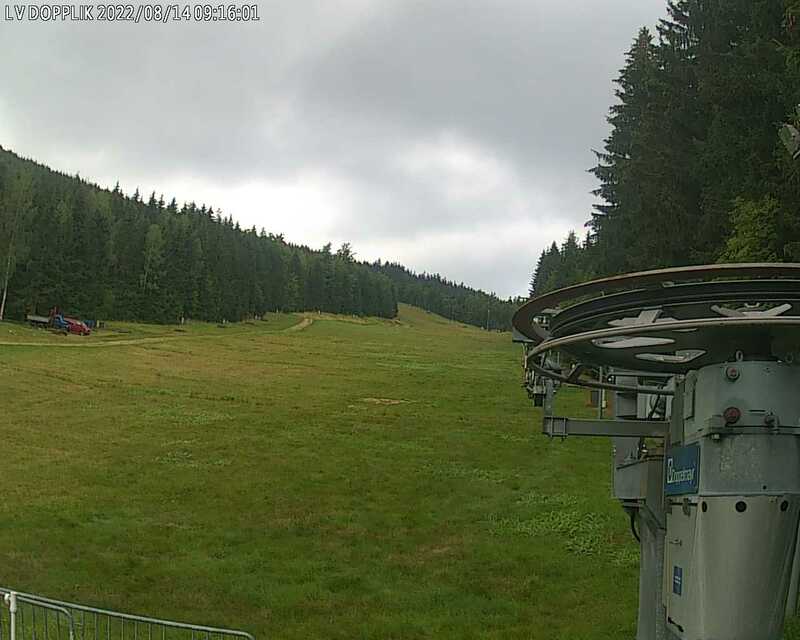 Cableways out of operation - regular maintenance! From 1.5.2019 - Cableway operated for pedestrians. 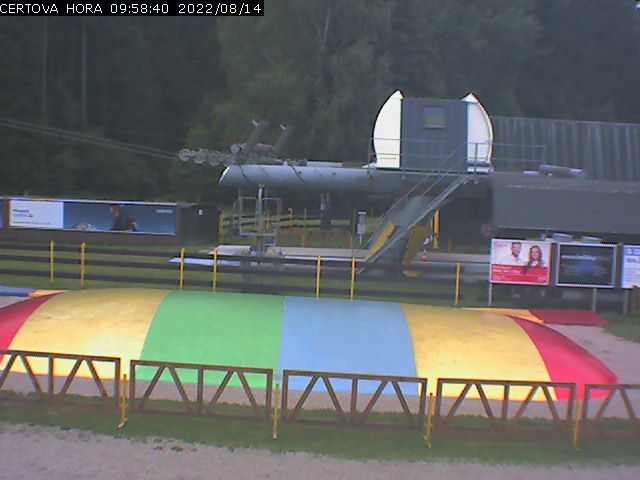 Welcome to the website of the Sports facility in Harrachov! 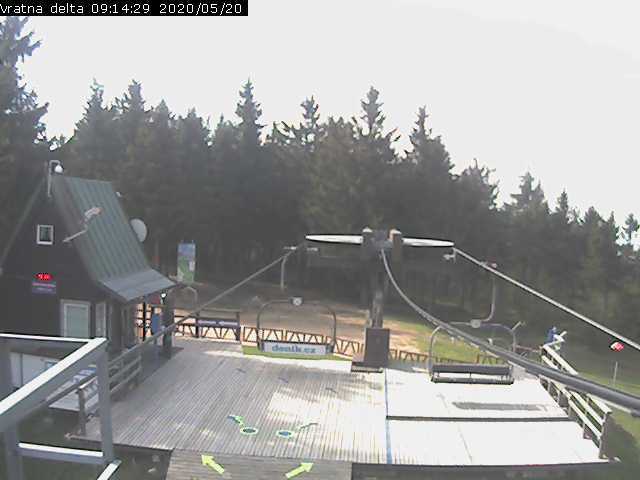 Our website provides a lot of information on leisure activities, current weather conditions as well as webcams, which show you directly what is happening on the ski runs. However, we also organize special events, meetings and festivals held in Harrachov and its surroundings. We will take you to ideal locations for your trips. Harrachov is one of the most popular mountain resorts in the Czech Republic and it meets requirements for sport, relaxation and entertainment throughout the year. Enjoy a relaxing winter vacation without boredom amid the magnificent nature of Giant Mountains. The most attractive goal for visitors who arrive in Harrachov in winter is undoubtedly skiing and snowboarding. There are two 4-seater chair lifts going to the top of Devil´s Mountain. Depending on the terrain, you can choose from four downhill runs of various length and level of difficulty. Thanks to floodlights at the ski lift at the bottom of one of the slopes it is possible to provide night skiing. Ticket prices offer a wide range of options for each skier to choose from according to their time and skiing skills. Family tickets for a discounted price are available for families with children. You can use the ski bus on the way to Harrachov, which runs on the route Prague - Harrachov and Česká Lípa - Harrachov. The comfortable bus will take you directly to the slopes in the morning and bring you back home again in the afternoon. Skiing on the slopes of Harrachov is famous because of the superior preparation of ski runs, even in the spring. The resort belongs to the last ski areas where you can enjoy good skiing even in late spring. Cross-country ski tracks are of course also well-prepared in Harrachov. Nearly 104 km of various trails including the Giant Mountains highway await leisurely skiers as well as experienced athletes. You can experience a lot of interesting things during your skiing holiday in Harrachov, both during skiing and afterwards. Harrachov is a town with a wide range of activities in the afternoon and evening. All visitors will definitely get their money´s worth, regardless of whether you are a family, a young couple, students or seniors. Bowling, squash, fitness, indoor golf or relaxation and wellness center with swimming pools is at your disposal. If you want to see a cultural event, you can visit the Museum of Glass, Ski, Mining or Forestry. You should not forget the famous Mumlava waterfall, which changes its appearance and is charming in a completely different way in winter. 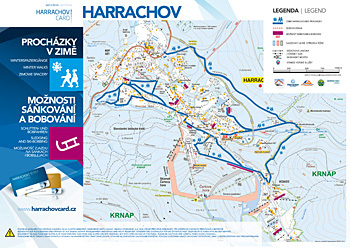 HARRACHOV CARD is a loyalty card for you - Harrachov visitors. With this card you can get discounts on services and other benefits. 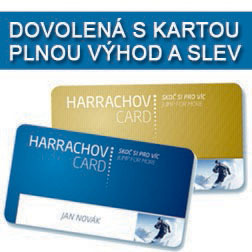 You can get the cardfree of charge if you are accommodated in a hotel or pension integrated into the HARRACHOV CARD system, or you can buy the card at the selected locations. Once expired the card is not returned but remains with you as a memory of pleasant vacation spent in Harrachov.